Over the years, Datasharp Central’s experienced team has worked to provide all kinds of clients with the best possible telecoms’ solutions. 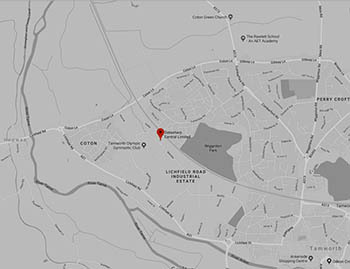 We can install all kinds of telecommunications systems in Sheffield and the surrounding areas. Whether you’re looking for a small business telecoms solution or a more comprehensive system for a larger business, we are here for you. Our experienced team of telecoms experts can ensure that you are fully equipped with a comprehensive system for both internal and external communication. Datasharp Central is one of the UK’s leading providers of high-quality and bespoke telecoms systems. Whether you’re looking for a small and practical voice-over-internet-protocol system, or a fully-integrated communication solution for larger businesses, get in touch today. Our reliable, easy-to-use solutions can deliver many years of reliable service to businesses of all shapes and sizes. Whether you require a simple, traditional telephony solution, or a more comprehensive telecoms solution, don’t hesitate to get in touch today. Having access to a simple, reliable and cost-effective telecommunications systems in Sheffield can make all the difference to your business. You’ll be able to deliver round-the-clock communication to customers, clients and other businesses. Without access to a bespoke and professional telecoms system, you could seriously harm your business’ reputation and deliver a sub-standard service. Our telecoms solutions can have a major impact on SMEs and much larger businesses. Thanks to Datasharp Central’s telecommunications systems in Sheffield, you’ll be able to deliver the best possible service to all your customers. If your business requires it you can provide a 24/7 communication service, ensuring professional and reliable customer service around-the-clock. This is essential for large businesses, including many multi-national businesses. The telecoms systems that we can install are able to deliver a completely reliable service to all kinds of facilities, including hotels, hospitals, schools and more. Even if you aren’t a business, you’ll still be able to enjoy a wide range of benefits thanks to our industry-leading telecoms solutions. Telecoms Systems Maintenance in Sheffield. PBX telephones are a traditional kind of telecoms which can deliver a reliable service to smaller businesses. They have been a popular choice for many years – however, they do have their disadvantages. For example, PBX telephony systems can cost more than modern solutions. In some cases, PBX systems are also less reliable than IP alternatives. 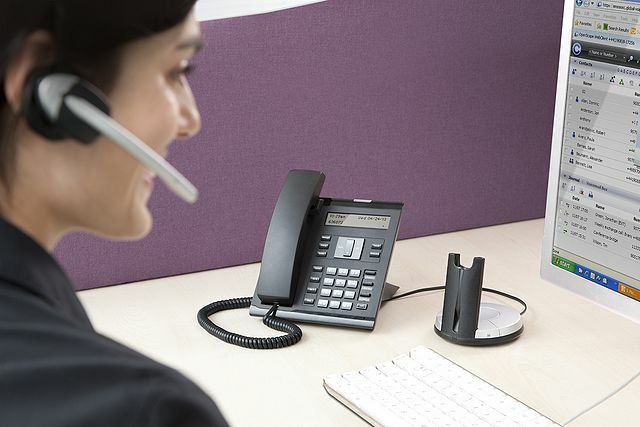 As PBX telephones all require connection with traditional phone lines, they can also be difficult and disruptive to install. Can Be Equipped with A Wide Range of Hardware and Equipment. Datasharp Central’s experienced team can equip SMEs and larger businesses with a range of cloud-based VoIP systems. Using voice-over-internet-protocol systems, you’ll be able to make cheap and reliable phone calls across the world. These calls will all be made through your internet connection, meaning that they are cost-effective and reliable. Cloud-based VoIP telecoms systems can provide a cost-effective and reliable solution to businesses and facilities throughout Sheffield and the surrounding areas. As part of our commitment to providing our clients and customers with the very best solutions for their needs, we can deliver reliable SIP Trunking. Our telecommunication experts can work to upgrade any traditional PBX solution. We can ensure that your traditional telephony system can operate as a voice-over-internet-protocol solution. Thanks to SIP Trunking, you and your employees will be able to enjoy the cost-effective and reliable benefits of an IP solution without having to replace your entire telephony system. Our experienced team of telecommunication experts in Sheffield can provide industry-leading maintenance to all kinds of telecoms systems. We’re able to identify any issues you might be having, including operational and integration concerns. Our telecoms specialists can ensure that your hardware and software all operate as they need to. Here at Datasharp Central, we can provide all our customers and clients with industry-leading telecoms solutions. We’re able to install a wide range of PBX and IP telecommunication to suit your needs. Whether you’re looking for cloud-based solutions or voice-over-internet-protocol, get in touch with our team today. If you’re looking for industry-leading telecoms solutions in Sheffield, get in touch with our team today. Our experts can repair, install and upgrade all manner of communication systems to suit your needs. For more information, call our experts directly on 0800 027 9875. If you prefer, you can send any questions or concerns through our simple online contact form and we’ll get back to you as soon as possible.